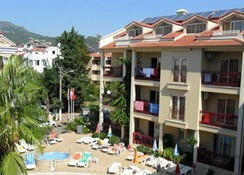 The Club Amaris Apartments is a beachfront luxury apartment hotel located in Marmaris, Turkey. The closest beach, the Marmaris Public Beach, is just 700m from the hotel. The property houses multiple outdoor swimming pools. It also houses an a la carte restaurant that serves breakfast, lunch, dinner and snacks from varied range of Turkish and international cuisines. Apart from that, the hotel has a pool bar on its premises that serves a range of alcoholic and non-alcoholic beverages. The hotel has 65 well-decorated apartments that are equipped with every possible facility required to make the guests feel at home. 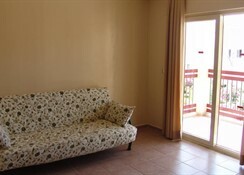 The Club Amaris Apartments is located 96.8km away from the Dalaman Airport. The closest beach, Marmaris Public Beach, is just 700m from the property. The town-centre of Marmaris is located 2.2km away from the resort. Regional attractions such as the Karacan Point Centre, Atlantis Su Parki, Marmaris Amphitheatre, Aqua Dream Water Park, Marmaris Thursday Market, Marmaris Castle, Ataturk Statue and Bar Street Marmaris are located within a range of 2km away from the hotel. Also, the Marmaris Yacht Marina is about 13km from the hotel. On request, the hotel’s management can arrange rental car for their guests’ local excursions and airport pick-up and drop-off. The Club Amaris Apartments has 65 tastefully decorated apartments and studios that are further categorised into five types based on amenities, space and number of individuals it can accommodate. One-bedroom apartment, promo one-bedroom apartment, promo studio, family apartment and studio flat are the types of apartments and studios available at the hotel. The guestrooms come equipped with a central air-conditioning system, fridge, telephone, satellite TV, Wi-Fi, two-ring stove, house-keeping service, bed linens, bath linens, essential toiletries, etc. The Club Amaris Apartments houses an a la carte restaurant and a poolside bar that serve throughout the day. Guests can enjoy all three meals (breakfast, lunch, dinner) and snacks at the onsite restaurants. The delicacies served at the restaurant are of various local Turkish and other international cuisines. The bar serves local wines, beers, cocktails, alcoholic and non-alcoholic beverages. Guests can also try the local eateries and bars to relish Turkish cuisine. The Club Amaris Apartments houses multiple outdoor swimming pools including an adults pool and children’s pool. 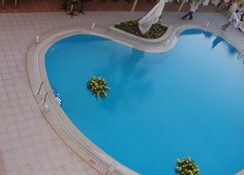 The poolside bar allows guests to enjoy refreshing drinks by the beautiful heart-shaped pool. The guests can also enjoy activities like broadcast of live sporting events and themed dinner nights which are organised at the hotel regularly. 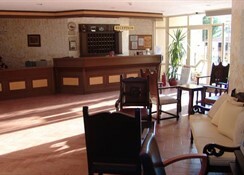 Apart from that, the hotel has facilities like darts, table tennis and billiards. Proximity to the beach allows guests to enjoy water-sports like diving, snorkelling, etc. Love this hotel and location staff great food great and rooms cleaned daily .